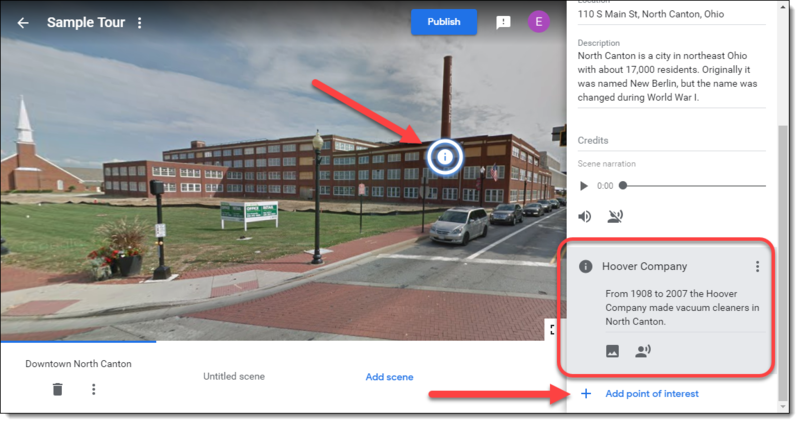 Google has a rich history of creating map-related tools that can be used across all subject areas for engaging, immersive learning experiences. Some of these include Tour Builder, Earth, Expeditions, My Maps, and many more (see my slideshow on Google mapping tools). 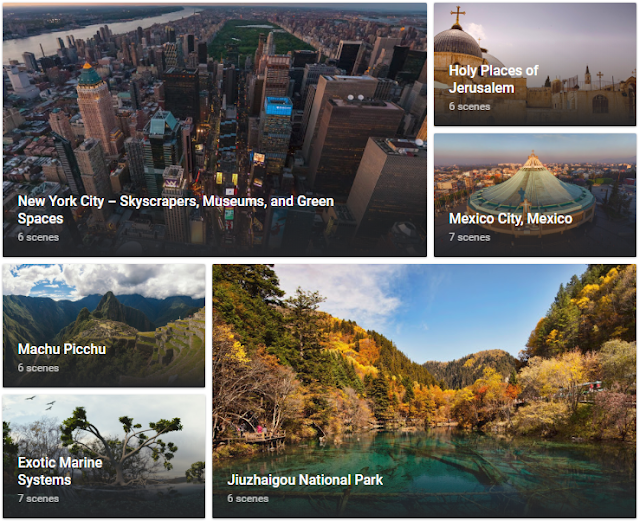 Recently Google has launched a new tool called Google Tour Creator. 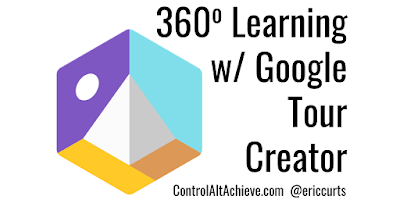 This tool allows you and your students to create 360 degree tours, which can then be shared with and viewed by others. 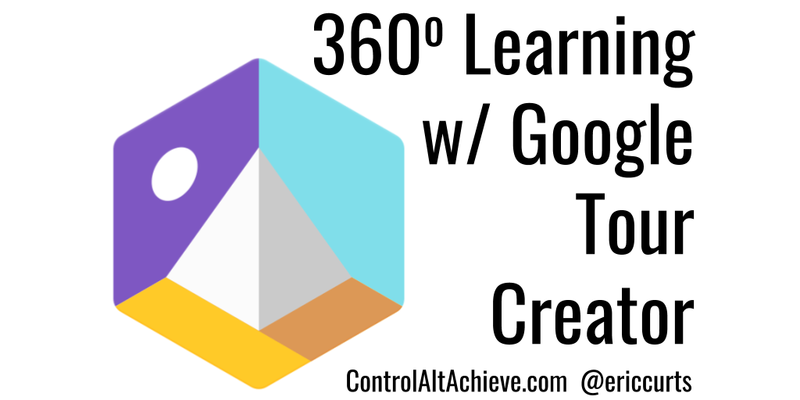 It is very much like creating your own Google Expeditions. Don't have a 360 degree camera? That's ok! 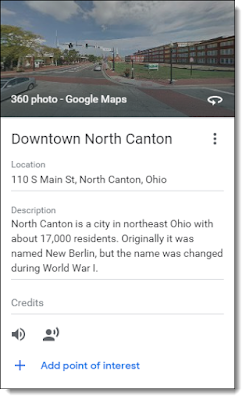 Although you can use a 360 degree camera to take pictures for Tour Creator, you can also just use the images from Google's Street View, or you can use a free mobile app such as Cardboard Camera to take the photos. 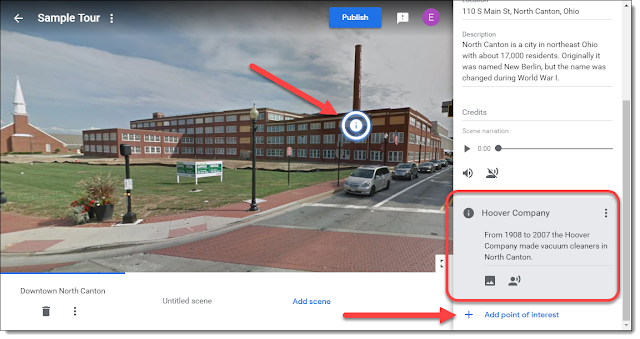 In this post we will explore Google Tour Creator and detailed directions on how you and your students can create your own tours today. To learn how to use this awesome tool, I took some time to create a tour of my own. 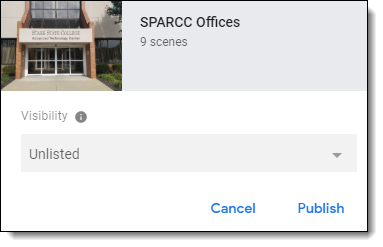 The educational service center I work at, SPARCC, recently moved to a new location, so I thought it would be beneficial to create a virtual tour of our new place. Click the gear icon in the top right corner to turn narration on or off. and to turn the ambient audio on or off. Click the full-screen button to switch between full-screen and windowed view. Click the scene title at the bottom to view notes for that scene. Click the arrows at the bottom to move back and forth between scenes. 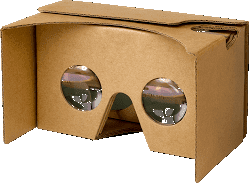 Click the cardboard button to switch to VR mode (and then put your phone inside a Google Cardboard viewer). 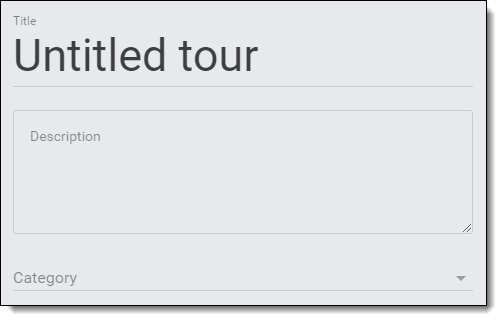 You can now click "New tour" to start with a blank tour, or you can click "Templates" if you would like to make a copy of an already existing tour (sometimes this can be helpful when first learning the tool to see what other people have made). For these directions we will go with clicking on "New tour" to start blank. You will now get a page where you can enter the basic information for your tour. You can give your tour a title. Optionally, you can add a description and choose a category. 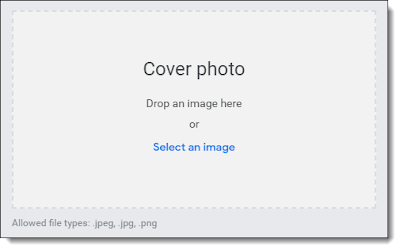 Finally, you can add a cover photo for your tour by dragging and dropping an image or uploading a picture. Through Street View, Google has collected a massive amount of 360 degree photos from all around the world. These have come from Google's Street View cars, as well as people carrying a Street View camera into difficult-to-reach locations. So even if you do not have your own 360 degree camera, you can still use the millions of photos available from Google. Type in an address to search. 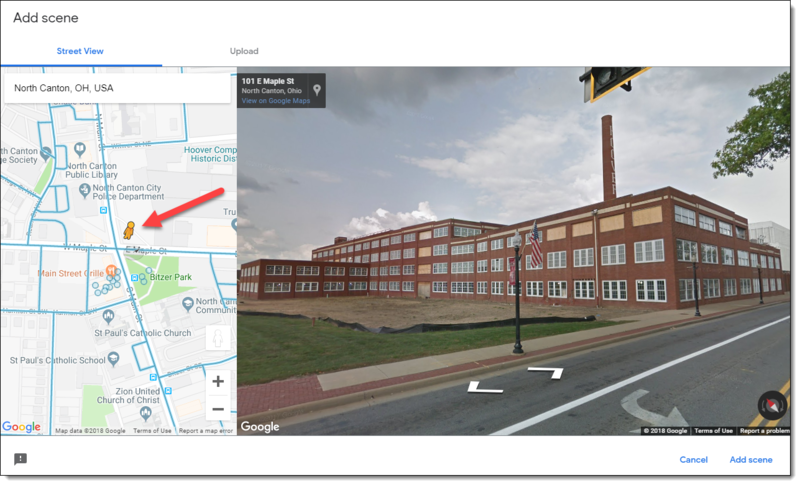 Drag the "pegman" icon around the map to anywhere with blue lines or circles (which indicate places where Street View images exist). Click "Add scene" when done. 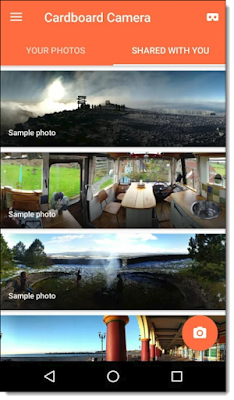 In addition to the existing Street View images, you can also upload your own 360 degree photos. If you do not have a 360 degree camera, that is still ok, since you can actually just use your phone. There are many apps that will allow your phone to take a 360 degree picture. 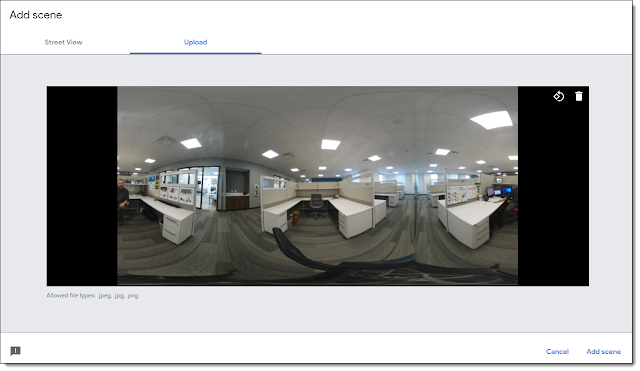 Usually the app will have you turn around in a circle while it takes a bunch of pictures, then it will stitch those images together into a 360 degree photo. Now that you have added a 360 degree photo to create a scene, you can edit several aspects of the scene. This can include text, audio, points of interest, image overlays, and more. See below for details on how to do this. At the moment, Tour Creator does not have an option for recording your audio in the program, so you will need to record and save your sound files ahead of time using some other tool. The files must be saved in MP3 format. 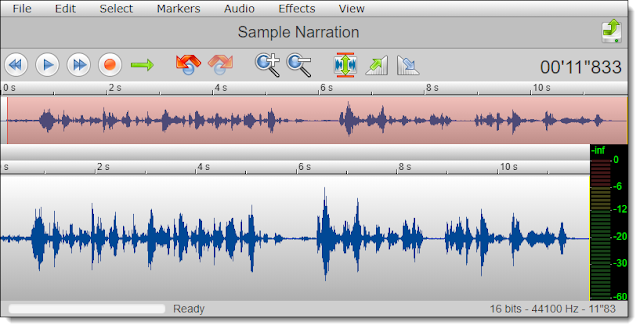 Click the mic button to start recording. Click the stop button when done. Trim the start and end if needed. The MP3 file will be downloaded. Click "Add point of interest". Drag the "i" icon to a spot in the scene. 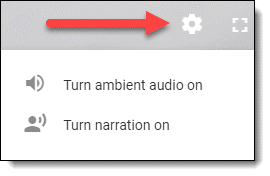 Add sight narration - Click this button to upload an MP3 audio file as before. 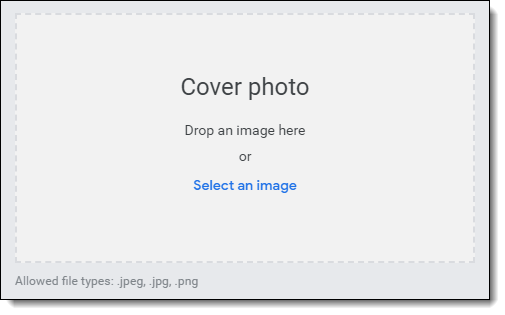 Add image overlay - Click this button to upload a picture to display when the point of interest is selected. Click the 3-dots button next to a scene title to move scene left or right. Click the trash can icon below a scene title to delete a scene. First click the "Publish" button. 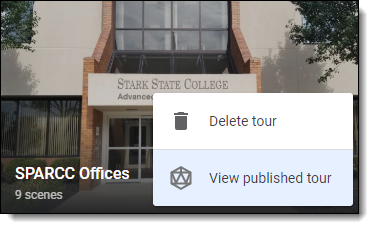 If you are editing your tour, the publish button will be at the top. If you are on the Tour Creator home page, the publish button will show up on the title card for your tour. For the "Visibility" option, you need to choose if your tour is publicly searchable or if people need you to give them the link to view the tour. If you choose "Public" then people can search for your tour on the Poly website. 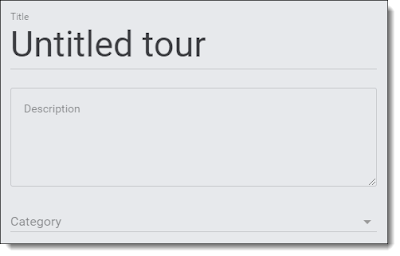 If you choose "Unlisted" then people will need you to provide the link to the tour to be able to view it. Your tour will now be published and ready to be viewed! You can copy the link for the tour to give to people so they can view the tour. 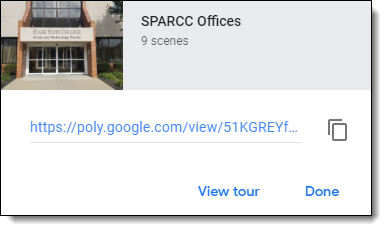 Or you can click "View tour" to view the tour yourself. Note: If you edit the tour later to make new changes, you will need to publish the tour again to update those changes in the published version. The published link will not change. From Tour Creator, locate your tour. Once the tour opens, click the "Share" link. From here you can copy the link to give to others. Or click any of the social media buttons to share the link that way. Or you can click the "Embed" button to get code to add the tour to a website. 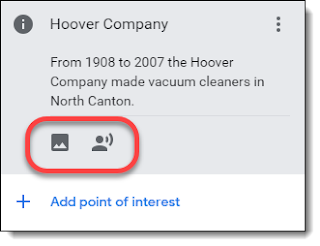 Click the "Embed" button in the "Insert" panel. 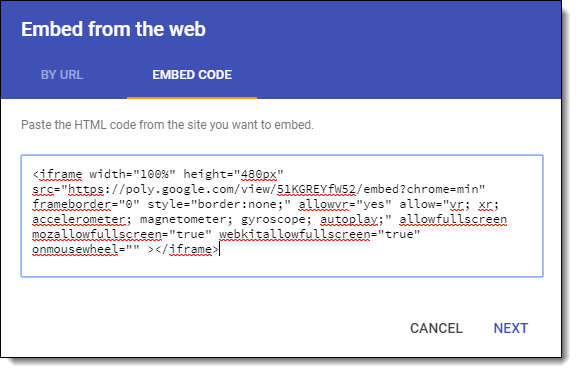 Paste the code in the "Embed Code" window. Adjust the size of the embedded tour as needed. 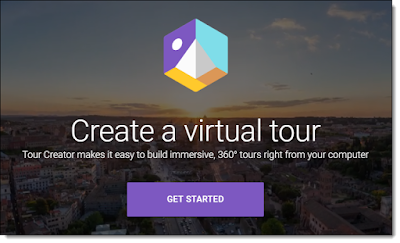 With Tour Creator, Google provides another engaging tool for creativity and learning. Students can come face-to-face with experiences from the other side of the world, or tell a story from their own town. 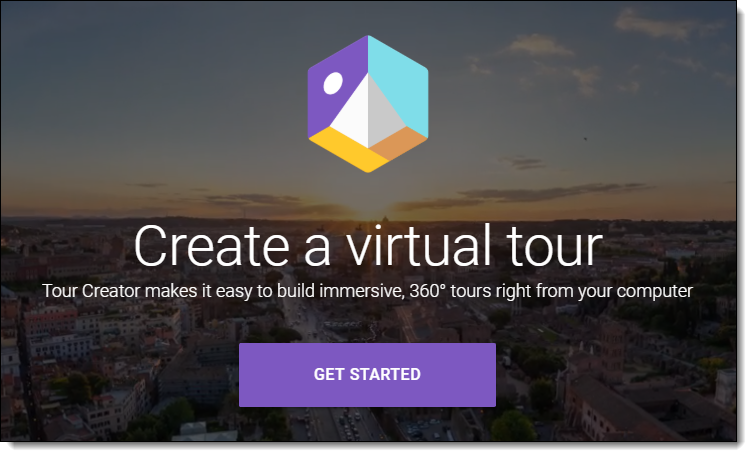 If your students create projects with Tour Builder, please consider sharing their work in the comments below, as well as publishing to the Poly website for students everywhere to enjoy. This is a fantastic tutorial Eric. Thanks so much.